A wonderful pairing of design elements. 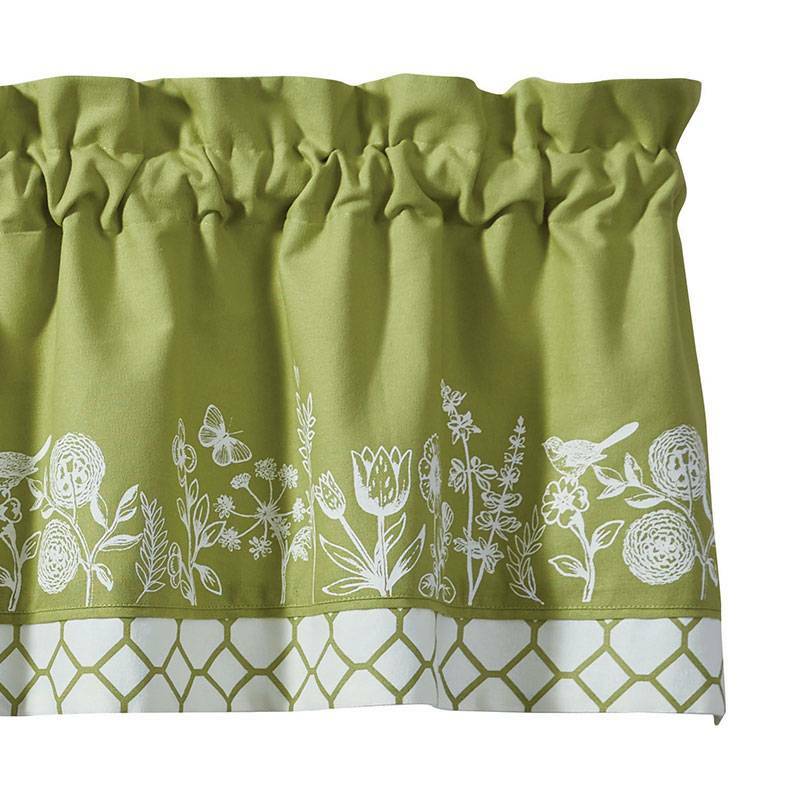 The Abby's Garden Lined Valance by Park Designs combines a delightful garden pattern of printed flowers, birds, and butterflies, with a lattice border that runs along the bottom. 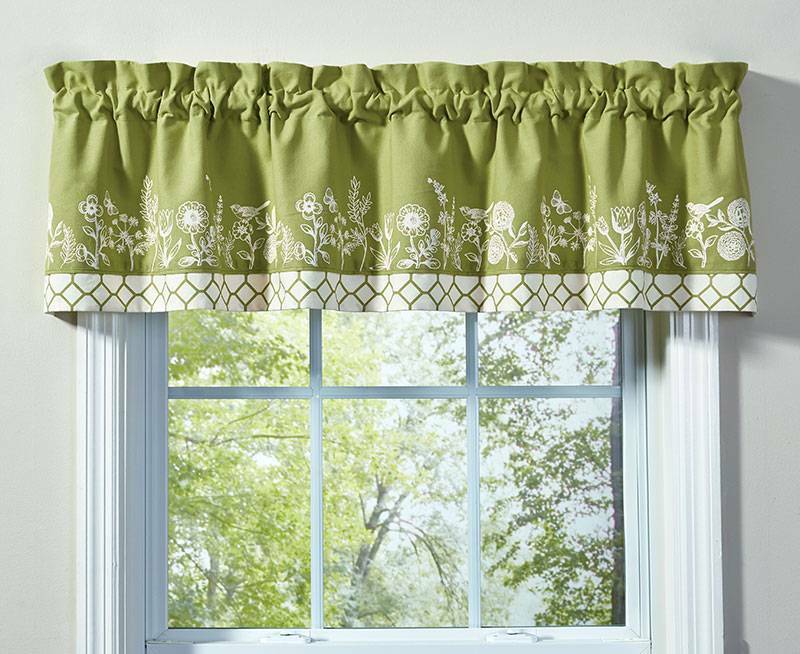 Offered in a Springtime fresh color palette of celery green and white.